On the 12th of May 2016 I made a decision to add an informative, but factually correct, paragraph on Western Sydney University’s (WSU) Wikipedia page. Why? Because it is extremely important that students and researchers, current and future, knows about WSU’s decision to fully support pseudosciences. This Wikipedia paragraph tells a story about how WSU view science, scientific research and how they view their responsibility, as a publicly funded entity, towards the public. The impact of WSU’s decision, taken early in 2016, is truly a milestone in the university’s short history and hence deserves mention on their Wikipedia page. This comes after being warned by myself, and other researchers, to investigate the National Institute of Complementary Medicine hosted by WSU. The paragraph that I’ve added is given below (deleted by WSU after about four weeks). “Early in 2016 some controversy surrounding the University’s full support of complementary medicine emerged in the press. Former employees, as well as eminent scientists, criticised the biased and unbridled support of the University for complementary medicines such as homeopathy, acupuncture, energy healing, Reiki etc. The main controversial aspect was the continued support of these pseudo-scientific fields in exchange for continued funding from the naturopathic Jacka Foundation of Natural Therapies. The University has since reacted to the critique by bestowing a honorary fellowship upon Judy Jacka, vice-chairperson of the Jacka Foundation. 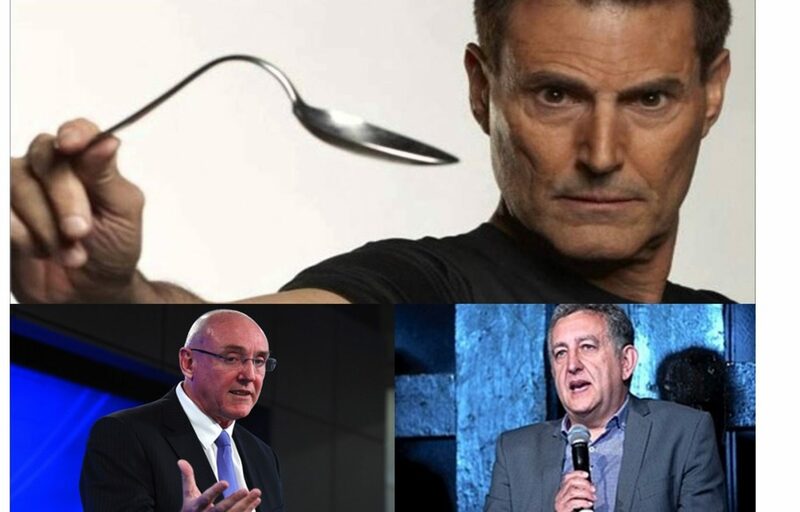 As a result the current vice-chancellor Prof Barney Glover, the Dean of the School of Science and Health Prof Gregory Kolt and the Director of the National Institute of Complementary Medicine Prof Alan Bensoussan were nominated for the prestigious annual bent spoon award of the Australian Skeptics society bestowed upon the “perpetrator of the most preposterous piece of paranormal or pseudo-scientific piffle“. Let’s look at the first sentence: “Claims made…” The added paragraph does not contain any claims but only facts. The controversy was reported in an article written by an independent journalist who verified the information with an independent scientist as well as their in-house lawyers before publishing the story in the newspaper. The NICM and WSU was also contacted by the journalist and they were given time to respond – they could not! ; “former employees and eminent scientists” – myself and a well-known independent Australian scientist, as reported in the newspaper article, presented the facts regarding WSU and the NICM – fact! (recently an international eminent scientist has joined the choir) etc. etc. This paragraph is based on facts and not claims! “..are not substantiated…”. I give nine references to substantiate the facts and I can easily give many more references. “…are vexatious….” Very interesting choice of words. Synonyms of vexatious are “annoying, irritating, upsetting, troublesome, bothersome”. With this I can agree. I do believe that what I am saying must be extremely annoying and irritating to WSU, because they know that I am right. They just do not seem to know how to get away with it without anyone noticing. Let’s look at the second sentence. “The person…” guilty as charged. “….refers to his own article…”. I reference nine articles, some of them written by myself (in these I use multiple references as evidence) whilst the rest is written by independent persons. And again, I can easily delete all of my references and replace them with references written by independent authors. “…skewed version of the truth.” This is incorrect. The added Wikipedia paragraph contain facts, presented by myself and others. To substantiate this I can also refer to Wikipedia’s explanation on what homeopathy, and many other complementary and alternative medicines, is – it is called quackery and pseudoscience. Not my words but those of scientists around the world. This is unfortunately the truth unless you are a homeopath or a university receiving millions of dollars from a foundation (Jacka foundation) supporting homeopathy. These facts, as presented in this paragraph, will only become more pronounced as other researchers start to reveal the inner workings of the pseudoscience that is being practiced and supported by WSU. Clearly not a skewed version of the truth, but the truth – they just don’t want to admit it. Let’s look at the third sentence. “The content has no major relevance to the University so does not warrant appearing here.” I beg to differ. This is a turning point in the history of WSU. They are intentionally misleading students and researchers, current and future, by claiming that they focus on world class scientific research and education while they actually allowed pseudosciences a foot in the door (this is the difference between a claim and a fact). Not even to mention the impact that their pseudoscientific research will have on the public. Will they continue to fight for pseudoscience? Will they decide to have a look at this issue? What will they do? The paragraph that I have added is hence of major relevance. Wikipedia is a self-correcting medium for sharing information based on facts. It should not be used by companies such as WSU to present a one-sided overly positive view of the company. It is not a marketing platform! It is therefore important that facts, such as what the WSU stand for, is made publicly known. This is who they choose to be and the public, future students and researchers deserves to know this. These are the facts and they should stand by it and be proud of it! Question is; should I continue to be “vexatious” and continue to add these important facts about WSU on their Wikipedia page? Or will people reading this post join me by continuing to add this paragraph whenever it is missing on WSUs Wikipedia page? (takes about 5 min as the references has to be added manually). As it is, I am alone and WSU has an whole army of people! As expected my paragraph was removed by ‘NeoWalker’ with the reason given “not relevant in context of recent history”. This time though, an unknown person reverted the removal of NeoWalker within the hour stating “unexplained removal of content”. To follow the action, please go to Western Sydney University: Revision history. The paragraph is still there! So why not push my luck a bit and add a whole new paragraph. In the contents section under point 8 WSU proudly announce that they won the Ig Nobel prize – strange because this usually means that you are guilty of conducting “useless” research. So I added a new paragraph, using only independent references, under point 9: Bent Spoon Nomination. See below. As expected my new paragraph “bent spoon nomination” was removed quite quickly. This time by an independent person with the statement “not notable unless awarded“. I do think this is fair enough, but this only means one thing; I have to make sure that the NICM receives this prestigious award. Or if anyone reading this can “undo” the changes made by Jack Upland on the 5th of July 2016 I would be grateful. I cannot undo these changes because I have a conflict of interest and Wikipedia will block me from editing. At least it lasted longer than 4 weeks. I’ve added another paragraph today so lets see how long it will last this time. Previous PostPrevious Conflicts of Interest: Is there a difference between Doctors and Acupuncturists turned researchers?